REPORT Mango closed the 2014 financial year with a consolidated group turnover for the Mango MNG Holding of 2.017 billion euros (2.154 billion dollars), representing a 9.3 percent increase on 2013, and an EBITDA of 223 million euros (238.2 million dollars). With the strong global presence of the brand, 82 percent of turnover was driven by foreign markets and the remaining 18 percent from the domestic market. In 2014, the brand created 2,331 jobs worldwide, representing an increase of 17 percent over the previous year. 28 percent of the 2,331 jobs were created in the Spanish market. The company continues its national and international expansion with the megastore concept created in 2013. During 2014, 43 megastores were opened and in 2015 another 75 openings of this new store format are planned, including Milan, the Calle Canuda store in Barcelona, and the Henry Street store in Dublin. 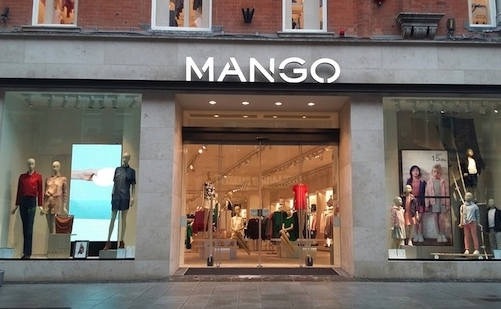 Mango currently has more than 2,700 stores in 109 countries. Online turnover now accounts for 9.1 percent of total company turnover. 12 new countries were added during 2014, bringing the total number of countries in which online sales are now available to 76. In addition, in late 2014 a logistics centre went into operation in Germany to improve the service to e-commerce customers by reducing delivery times both in Germany and in neighbouring countries. Online expansion in 2015 will focus on South America, Asia and Africa, in order to complete the product offer via e-commerce in countries where the brand is already established through physical stores. Mango Man added 90 new retail outlets and closed the 2014 financial year with a total of 240 establishments in over 40 countries. These include Spain, Germany, France, the Netherlands, Italy, the United Kingdom, Poland, Russia, Singapore, Mexico and Chile. Zinédine Zidane is the international image of the line for 2015. Mango Kids closes its third season with 150 retail outlets in over 50 countries. The line is particularly well-established in countries such as Spain, Germany, Italy, the Netherlands, Saudi Arabia, Russia and Turkey. Violeta by Mango celebrates its first year with 90 retail outlets in over 15 markets. Vicky Martín Berrocal is the brand image worldwide. The forecast investment for the group in 2015 is 300 million euros (320.5 million dollars), which will be allocated to new store openings, store refurbishments, logistics systems and IT systems. Posted on April 22, 2015, in #international, #retail. Bookmark the permalink. Leave a comment.